Marchese, who is a past president and one of the founding members of LDSS, owns Marchese Construction and has more than eighteen years experience in the construction industry. He is also an accredited professional through the United States Green Building Council’s (USGBC) Leadership in Energy and Environmental Design Program. 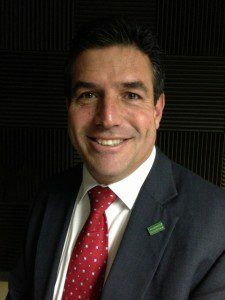 Marchese’s professional experience, in combination with his involvement with LDSS, has given him a unique perspective on hiring and working with people of different abilities. LDSS strives to create a community that accepts and includes all of its members, including people with Down Syndrome and their families. Its activism extends from the Camp Buddy summer program for children with different abilities to the Buddy Walk and Night of Champions. This month’s Chamber Power Hour will be held from 11:30 a.m. – 2 p.m. in the Savannah Morning News Auditorium, 1375 Chatham Parkway. The meeting will include a lunch catered by Vincenzo’s Italian Restaurant & Catering. Chamber members and guests can RSVP by emailing Stephanie Painter at spainter@savannahchamber.com. 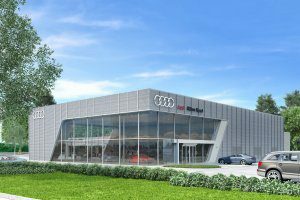 (JASPER COUNTY, S.C.) Peacock Automotive has broken ground on its new 30,000-square-foot Audi dealership at the New River Auto Mall on U.S. 278. The estimated cost of the new facility is $6 million, and it’s expected to create 20 new jobs in addition to the approximately 600 people Peacock Automotive currently employs. (JASPER COUNTY, S.C.) Peacock Automotive will hold an Unveiling Party for the rebranding of the New River Auto Mall on Thursday, Sept. 7, at 5:30 p.m. A new name and logo will be released during the event. The Unveiling Party will take place at Audi Hilton Head at 137 Auto Mall Boulevard in Hardeeville, S.C. Invited guests will be the first to see the Auto Mall’s new branding materials while they enjoy refreshments and music. Established in 2002, the New River Auto Mall is owned by Peacock Automotive, which also owns and operates dealerships in Savannah, Ga., Columbia, S.C., and Orlando, Fla., as well as the New River Wellness Institute and the New River Auto Mall Collision Center. The Auto Mall covers 45 acres on U.S. 278, 5 miles east of Interstate 95 at Exit 8 in South Carolina. The Auto Mall employs approximately 330 people and features 13 brands, including Audi, Chrysler, Dodge, Fiat, Genesis, Hyundai, Jaguar, Jeep, Land Rover, Porsche, Ram, Subaru and Volkswagen. 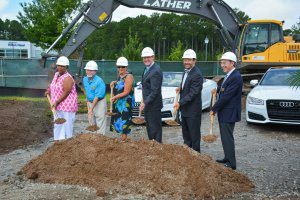 Most recently, the Auto Mall broke ground for the construction of a new 30,000-square-foot dealership, Audi Hilton Head. Work on the new building is expected to be completed in the spring of 2018 at an estimated cost of $6 million. In addition to a large inventory, the Auto Mall has state-of-the-art facilities for all automotive service and repair needs. Technicians are ASE-certified and work on all vehicle makes and models. Collision repair is also available. Every service appointment comes with a complimentary car wash.
During the unveiling event on Sept. 7, the American Heart Association will kick off the 21st Annual Heart Ball of the Southern Coast by announcing the gala theme. Audi Hilton Head is the Legacy Sponsor for the Heart Ball, which will be held on Feb. 5, 2018, with an expected 400 guests. For more information on the Heart Ball, visit www.southerncoastheartball.org. (SAVANNAH, GA) The Savannah Urban Garden Alliance (SUGA) received an Encourage Health grant of $1,000 during the third lecture of the enmarket 2017 Encourage Health Education Series. Board members and friends of SUGA joined Bess Butler (center in red), representative of enmarket, and Paula Kreissler (right in white), representative of Healthy Savannah, during the Encourage Health Series presentation. SUGA works to increase access to local, healthy food by promoting gardening and raising awareness for the benefits of homegrown food. The nonprofit organization collaborates with local schools to develop on-campus gardens, offers online guides to gardening and hosts interactive exhibits for children throughout the year. It also provides a community for area gardeners through online forums and monthly networking events. SUGA is one of four local nonprofit groups to receive grants during the 2017 Encourage Health Education Series. Other recipients include The Living Vine, the Savannah Striders and the Girl Scouts of Historic Georgia. Wellness executive Ross Harding, the luncheon’s keynote speaker, discussed “The Golden Healers: A Study of Ginger and Turmeric’s Effect on Health.” Harding is the co-founder and CEO of Verdant Kitchen, a gourmet and wellness company that crafts artisan foods and beverages with a focus on the health benefits of the ginger and turmeric family of spices. The 2017 Encourage Health Education Series consists of four lunchtime presentations from respected professionals who share insights on nutrition and fitness plus general tips for a healthy lifestyle. Registered attendees are treated to a free, healthy lunch. The next lecture, on Oct. 24, will feature Davana Pilczuk, PhD, who works in the field of human performance with Savannah-based Gulfstream Aerospace. She will speak on “Stress and Sleep: The Forgotten Keys to Health,” and the Encourage Health $1,000 grant will be presented to the Girl Scouts of Historic Georgia. This marks the fourth year of the enmarket Encourage Health Education Series, conducted in partnership with Healthy Savannah, Sandfly Family Dental, Gulfstream Aerospace, Hoist Water, Savannah Morning News, Savannah Magazine and GPB Savannah – WSVH 91.1/WWIO 89.9. (SAVANNAH, GA) Joe Marchese, past president and founding member of the Lowcountry Down Syndrome Society (LDSS), will be the keynote speaker for ‘Power Hour,’ presented by the Savannah Area Chamber’s Small Business Council on Tuesday, Sept. 12. His presentation will highlight the “Top Ten Ways to Contract and Utilize Workers with Different Abilities.” RSVP: http://savannah.simpleviewcrm.com/webapi/rsvp/v2/?action=details&noredirect=1&eventId=61For more info contact spainter@savannahchamber.com. 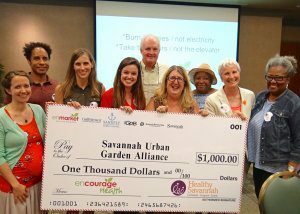 (SAVANNAH, GA) The Savannah Urban Garden Alliance received an Encourage Health grant of $1,000 during the third lecture of the enmarket 2017 Encourage Health Education Series. The garden alliance works to increase access to local, healthy food by promoting gardening and raising awareness for the benefits of homegrown food. It is one of four local nonprofit groups to receive grants during the 2017 Encourage Health Education Series. For more information, please call 912-236-1331 or visit www.enmarket.com. http://beta.spotted.blufftontoday.com/mediadetail/31069242?channel=26609&gId=686516Estimated cost of the new facility is $6 million, and it is expected to create 20 jobs. Construction will begin immediately and is expected to be completed in the spring of 2018. Visit http://www.audihiltonhead.com/, or call (843) 208-1258. (INC) With so many marketing tactics to choose from, creating your own marketing plan can be challenging. (SAVANNAH, GA) If you’ve ever seen one of those yellow signs posted on a building or empty lot announcing a zoning change petition, you probably know the property owner or potential owner wants to build something new or alter the current building’s purpose and must first seek permission from the governing municipality to rezone the lot. While zoning issues are unlikely to affect most people, they can be a complicated and lengthy process for a zoning petitioner. For tips on how to navigate zoning regulations, please visit http://savannahnow.com/2017-08-17/thomas-five-ways-navigate-savannah-s-zoning-regulations. (INC) Is it unprofessional to use emoticons in work emails? (SAVANNAH, GA) The public is invited to celebrate 100 years of the local Red Cross. View memorabilia and learn about Red Cross work in the community. The event is Wednesday, Aug. 30, at 6 p.m. at Service Brewing Company, 574 Indian St., Savannah, GA 31401. Please RSVP to esther.sheppard@redcross.org or 912-651-5300 x349 This event is free. Must be 21 to enter, No children or infants. (SAVANNAH, GA) On Tuesday, Nov. 28, the annual Holiday Auction hosted by Coastal Georgia Council Boy Scouts of America will take place at 6 p.m. at the Landings Plantation Club. Your support of the Holiday Auction will help pay for inner city kids from low income homes to learn outdoor skills, have mentors and participate in the proven leadership and life skills development programs of the Boy Scouts of America. Call Angela Phillips at the Scout Office at 912-927-7272 x 204 to reserve your place or to sign up as a volunteer or sponsor. SAVANNAH –Healthy Savannah is the recipient of Whole Foods Market Savannah 5% Day. The Community Giving Day is Thursday, Aug. 31, and 5% of the entire day’s net sales will be donated to Healthy Savannah. Healthy Savannah is a local non-profit dedicated to making Savannah a healthier place to live by increasing opportunities for citizens to engage in physical activity and consume a nutritious, balanced diet. “We are excited to be partnering with Whole Foods Market for this special day! Joining us will be other Healthy Savannah partners as we increase awareness on opportunities to make the healthy choice the easy choice for everyone in our community!” said Paula Kreissler, Director of Healthy Living and Community Development for Healthy Savannah. Proceeds from the day will be added to the Healthy Savannah Mini Grant fund. Whole Foods Market Savannah is open daily from 7:30 a.m. to 9 p.m. The store is located at 1815 Victory Dr. For more information, call (912)272-9494. Healthy Savannah is accepting applications through August 31st for Healthy Savannah Mini Grants. Organizations who promote the Healthy Savannah mission of encouraging residents to move towards healthy lifestyles. Application focus areas should include one of the following: increasing the number of active community environments – Utilize urban planning approaches that promote physical activity; increasing access to health-promoting foods – Increase access to fruits and vegetables consumed by community residents; and increasing the number of people who have access to low cost or free recreational opportunities – Increase community ownership, involvement in, and use of public facilities. The Healthy Savannah Mini Grant project is a community-level response to combat the obesity epidemic and the chronic diseases to which it contributes, such as diabetes, heart disease, and stroke. These diseases are on the rise in Savannah, across the region, and nationwide. As such, Healthy Savannah is an organization of local agencies and partners committed to preventing chronic diseases by promoting policies that support healthy eating and physical activity. healthier place to live. Launched in 2007 by (then) Mayor Otis Johnson, Healthy Savannah’s mission is to achieve a healthier community by creating and advocating for a variety of policies and programs to increase opportunities for citizens to engage in physical activity and consume a nutritious, balanced diet. Healthy Savannah supports local programs for families, schools, businesses, and faith-based organizations. The leadership team is composed of people from all sectors of the community. Business owners, non-profit managers, government and public service staff, community organizers, and faith-based leaders all play a role in helping the vision of a healthy Savannah come to life. If you’ve ever seen one of those yellow signs posted on a building or empty lot announcing a zoning change petition, you probably know the property owner or potential owner wants to build something new or alter the current building’s purpose and must first seek permission from the governing municipality to rezone the lot. While zoning issues are unlikely to affect most people in their lifetimes, they can be a complicated and lengthy process for a zoning petitioner. Zoning is defined as a power granted to municipalities by the state to promote public health, safety and general welfare and to protect and preserve areas of historical, cultural or architectural significance. The land is divided into separate districts within which uses are permitted, prohibited or permitted with conditions. Zoning ordinances are put in place by the local municipality to help protect residents and guide commercial growth of the community in positive ways. Therefore, business owners who are thinking about buying, developing or altering a property need to become familiar with the basics of zoning and how those rules could impact their plans, budgets and timelines. 1. Before starting the search for a property, ask your real estate adviser to help identify how areas of the community are zoned and what parcels are best suited for your business location. If possible, look for a property already zoned for your type of business. Your real estate adviser can play a huge role in helping to find zoning that meets your requirements. 2. If you find a property you’d like to consider but is zoned differently from your needs, consult with your real estate advisor, land attorney, civil engineer or contractor of record to determine whether the local municipality might consider a petition for rezoning. For example, if you’re looking at a piece of land for an industrial business and the parcel is outside an industrial park but touches it, the local planning commission is more likely to consider rezoning the parcel than if it is adjacent to non-industrial areas. 3. If the property you wish to purchase must be rezoned for your commercial needs, start the process by visiting the local government where the parcel is located. Invite your land attorney, civil engineer or contractor of record to join you or represent you. Navigating zoning procedures can be overwhelming for those who are not industry professionals. 4. Be aware of special circumstances. For example, if the property is in Savannah’s Historic District, your first stop should be at the Historic District Board of Review because they must approve your preliminary concept before you can take any other step in the zoning process. Again, your industry professional can help you determine whether your property is in an area where special circumstances need to be considered. 5. Try to become familiar with zoning terms such as your desired property’s zoning designation and parcel identification number (PIN) as well as how the zoning process works in your community. For example, the Savannah Metropolitan Planning Commission maintains authoritative zoning ordinances for Chatham County and working zoning ordinances for the city of Savannah. Over the past few years, both governments have been working to update and unify their ordinances, a process known as NewZO (New Zoning Ordinances). Once your zoning is in place, the next step in the development process is to get permitting underway. This involves submitting your plans to the local planning commission, which will direct them through the appropriate departments for review and approval. As you might expect, the permitting process has its own procedures. 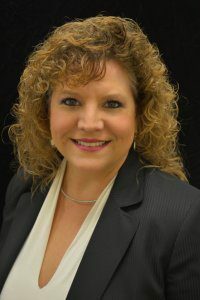 Kim Thomas is the director of operations at Dewitt Tilton Group, a Savannah area commercial construction company. 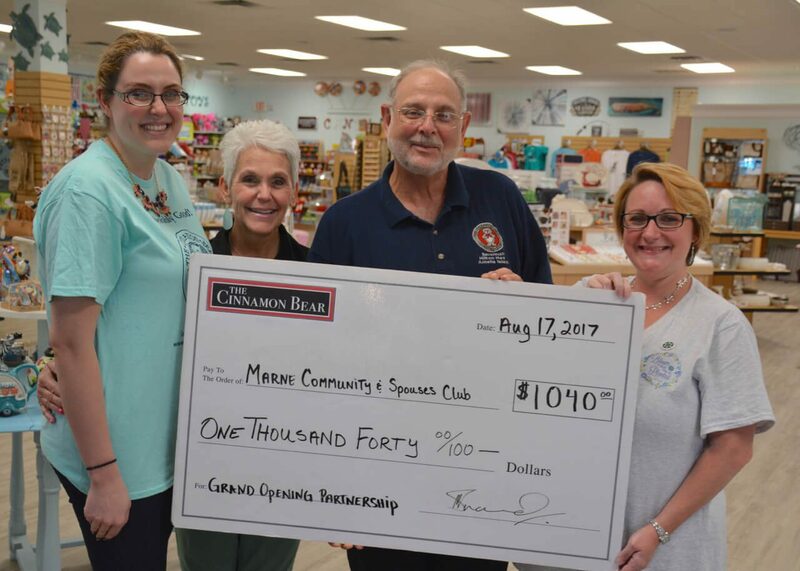 (LEFT TO RIGHT) Janis Snaid, Lynne Snaid and Michael Snaid from the Cinnamon Bear Stores presents check to Jenny Petersen, First Vice President of the Marne Community and Spouses Club of Fort Stewart and Hunter Army Airfield. (SAVANNAH, GA) Speros announces an Interactive Presentation System Lunch and Learn event to be held from 11:30 a.m. to 1 p.m. on Thursday, August 24 at Vic’s on the River. The technology experts will be sharing information on the latest interactive display systems and how to use these in business. Lunch is provided, but RSVPs are required. Space is limited. To reserve a seat, call (912) 354-8900, or visit www.speros.com/events. (TIME) National forecasters are predicting a busy hurricane season. (SAVANNAH, GA) The public invited to celebrate 100 years of the local Red Cross. View memorabilia and learn about Red Cross work in the community. The event is Wednesday, August 30, 2017, 6:00 P.M. Service Brewing Company ,574 Indian St., Savannah, GA 31401. Please RSVP by August 25th to esther.sheppard@redcross.org or 912-651-5300 x349. *This event is free! Must be 21 to enter, No children or infants. (THE ALTERNATIVE DAILY) 10 TED Talks every entrepreneur should see. (DAILY MAIL) Savannah city officials seek restitution for damage to historic oak tree. (HILTON HEAD, SC) THRIVE Lowcountry Women’s Conference, September 28, 2017. Carriage Trade Public Relations and Cecilia Russo Marketing’s own Cynthia Wright will be speaking on Social Media. Registration is open for this new women’s event and an early bird rate is available now. Limited number of vendor tables are also available. (SAVANNAH, GA) Speros, a Savannah-based technology services company, announces an Interactive Presentation System Lunch and Learn event to be held from 11:30 a.m. to 1 p.m. on Thursday, August 24 at Vic’s on the River, located at 26 E Bay St, Savannah, Ga. Lunch is provided, but RSVPs are required. Space is limited. To reserve a seat, call (912) 354-8900, or visit speros.com/events.